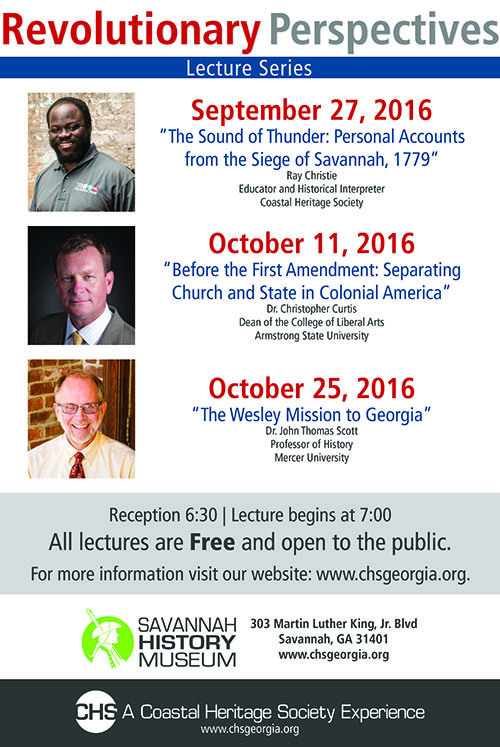 Coastal Heritage Society invites the public to attend the annual Revolutionary Perspectives Lecture Series on Sept. 27, Oct. 11 and 25, 2016. 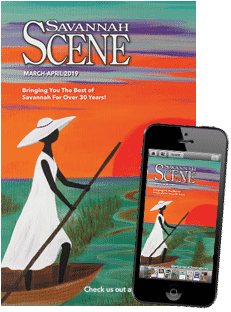 The free event series will focus on topics related to Savannah, Georgia during the Revolutionary War era. 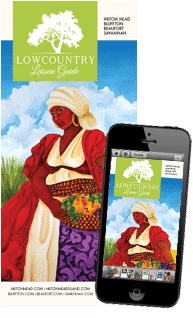 Each lecture will begin at 7 p.m. at the Savannah History Museum Theater, 303 Martin Luther King Jr. Blvd. An opening reception for each lecture featuring light appetizers will be held at 6:30 p.m. in the Savannah History Museum lobby. The first lecture on Sept. 27, 2016 will be presented by Coastal Heritage Society Educator and Historical Interpreter, Ray Christie. The lecture will be called “The Sound of Thunder: Personal Accounts from the Siege of Savannah, 1779.” Christie’s lecture will focus on first-hand accounts of the 1779 Battle of Savannah. The second lecture on Oct. 11, 2016 will be presented by Dr. Christopher Curtis, Dean of the College of Liberal Arts at Armstrong State University. The lecture will be called “Before the First Amendment: Separating Church and State in Colonial America” and will be about Church-State Relations during the Revolutionary Period. To complete the series, on Oct. 25, 2016 Dr. John Thomas Scott, Professor of History at Mercer University will present “The Wesley Mission to Georgia.” This lecture will examine the perspective of the mission and the growth of the colony of Georgia. For more information, contact the Coastal Heritage Society at (912) 651-6840.